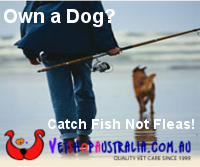 finding some of the best fresh water fishing in Australia. the iconic brown waters of NSW. with three boats on offer as prizes and an extra 20km of river to fish. 2 March the little township on the Murray River uses the funds raised to restock the river each year. to fish some of the prettiest parts of the Murrumbidgee River. try and land the big one, with most hoping to hook a Murray Cod. Darling River at Wilcannia also provides some brag worthy fishing experiences. fishing spot from the locals, they will happily listen to your stories once the day is done. iconic outback towns of Bourke, Broken Hill and White Cliffs. way to get to know the area.